POWERFUL HAIR LOSS PREVENTION: Most effective 100% natural anti-hair loss scalp treatment for men and women. Rich in fatty acids, omega-3 oils and vitamins. 100% ORGANIC INGREDIENTS. SLS-FREE. VITAMINS ENRICHED. NO MINERAL OIL. NO PARABENS. NO HORMONES. ALCOHOL-FREE. 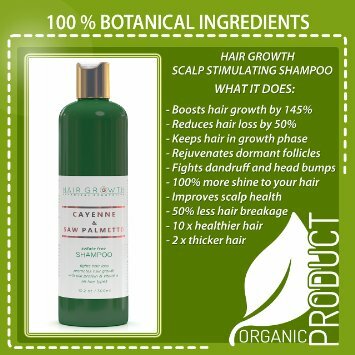 UNIQUE FORMULA: 100% botanical organic formula includes the strongest known botanical hair-loss fighting bioactive components contained in Saw Palmetto Oil and capsaicin, derived from Cayenne & Chili Pepper Oil. WHAT IT DOES: Reduces hair loss by promoting additional blood circulation around hair follicles, and restores lost proteins that increase hair follicle strength. Improves scalp and hair health by encouraging hair follicles to remain in their growth phase. Contains powerful BOTANICAL active ingredients which have been shown to reduce hair loss, stimulate hair growth and return dormant hair follicles back to function. Proper use of this shampoo alone can help to reduce the rate of hair loss and maintain the density of thinning hair. 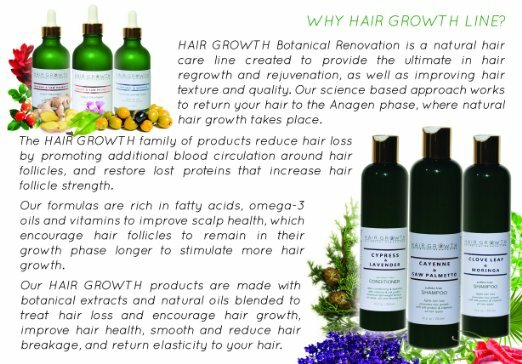 Try other products from our HAIR GROWTH line: anti-hair loss SCALP TREATMENTS and deep reconstructive CONDITIONERS. DOES IT HELP WITH DHT? - Yes, HAIR GROWTH Botanical Renovation product line helps to reduce hair-loss caused by DHT. Unique formula penetrates the scalp with natural oil nourishment and includes the strongest known botanical hair-loss fighting bioactive components combined with premium botanical active ingredients which have been shown to reduce hair loss, stimulate hair growth and return dormant hair follicles back to function. Treatment improves scalp and hair health by encouraging hair follicles to remain in their growth phase, but it is not meant to be a comprehensive cure or an alternative therapy to treat levels of androgens or testosterone and dihydrotestosterone. HOW MUCH TO APPLY: Comb residual styling products out of your hair. Dampen your hair well with lukewarm water. Use a quarter-size amount of shampoo [for short to medium long hair] and distribute the product over the scalp with circulating movements and through your hair. Foam up the dollop of shampoo with a little water before massaging the foaming shampoo through your hair and scalp. Be sure not to scratch your scalp with your fingernails. Leave on for 1-2 minutes. Rinse thoroughly and repeat again. Completely rinse the shampoo out of your hair using clear water. Follow up with conditioner and style your hair as usual. For best results apply 2-3 times a week. PLEASE NOTE: We use only high quality and high potency ingredients sourced from the most reliable resources. Some of the ingredients like Essential Oils and Botanical Extracts are added to provide sensation of icy-hot warmth to intensify the effect of the treatment. These ingredients, when used as directed, will produce "tingling" sensation, which is expected. This sensation will increase with the increased amount of product. That's why it is important to follow directions thoroughly to prevent skin irritation. One 10.2 oz bottle of shampoo should last for about 15-20 weeks [for short to medium long hair]. Thinning hair and hair loss run in my family, so it is something I have wanted to start taking steps in preventing. I have baby fine hair that tends to be very dry. I use this shampoo twice a week, for 8-10 minutes while I am in the shower. 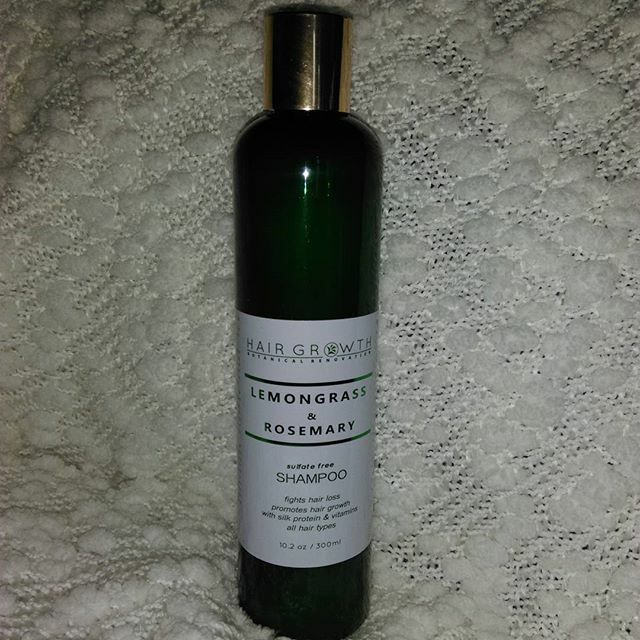 First I love the scent of the Lemongrass and Rosemary. It makes my whole bathroom smell like a spa. It has that natural herbal scent that is just so invigorating! The shampoo is a slightly yellow color, and it gives a very slight lather. I have medium to long length hair, so I use about a heaping teaspoon full of the shampoo to cover my entire scalp. I pretty much just focus this right on my roots and scalp area. It gives a immediate tingling sensation which at first took some getting used to. Now I absolutely love it! It feels so lovely! Doesn't hurt and isn't uncomfortable at all. 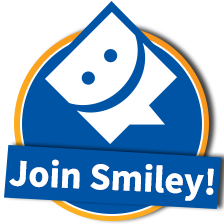 I have been using this for almost a month now, and there are so many things that I notice. First, my hair isn't falling out at the rate that it was. Before I was shedding hair quite a bit, and now it's slowed down to a minimum. My hair is growing a lot faster and stronger. And although most of my hair is dry, my scalp would always get greasy fast if I didn't wash my hair quite frequently. After using this shampoo, I can wash my hair every other day, or every 2 days and not feel grimy and gross! I still have a long way to go with this product, but so far I am really a fan of this! It is definitely worth a shot!